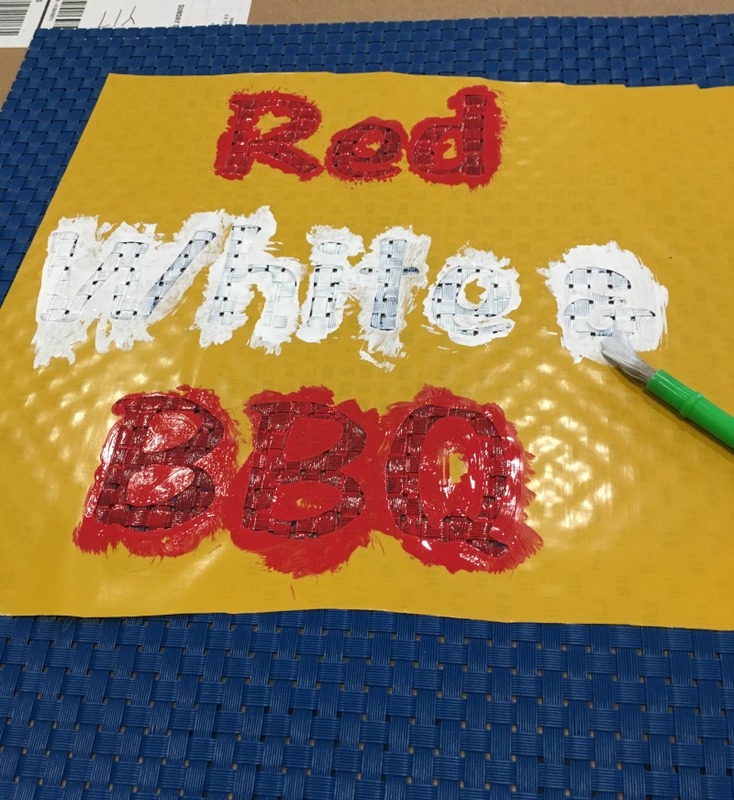 I am back with the Craft & Create with Cricut Challenge to show you how to make Red, White, and BBQ Painted Placemats for the Fourth of July. Each month we will bring you a different themed craft using the Cricut, so make sure you subscribe to my email so you don't miss any of these crafts! 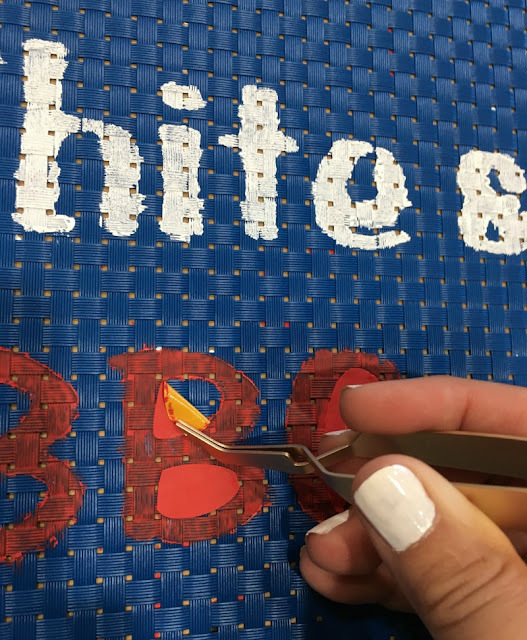 This month, all of the crafts are Fourth of July themed. I love to make crafts using Dollar Tree supplies, so that is where I started with this craft. 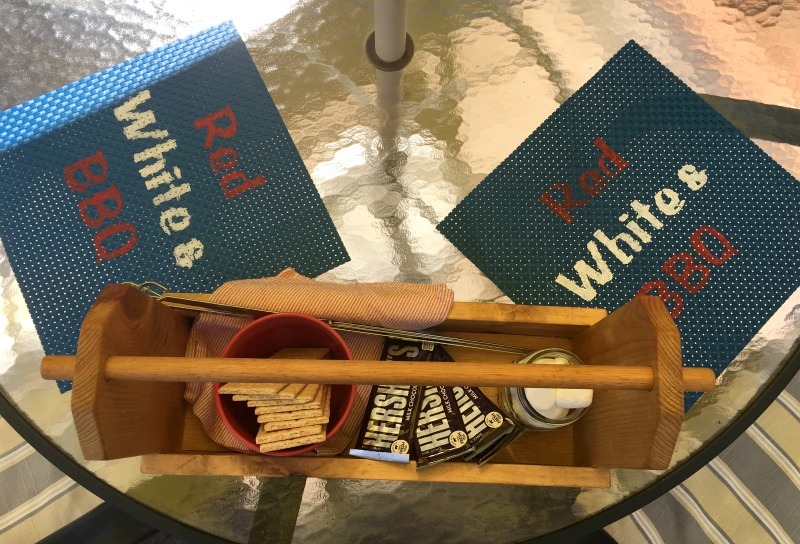 I wanted to make something that could be used outside for July 4th, but also other holidays as well like Memorial Day. 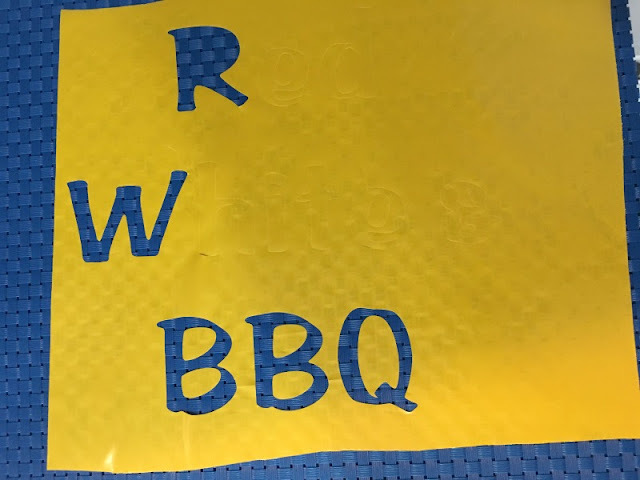 I initially thought about using vinyl on a tray, but when I saw the placemats, I decided to try painting them with a stencil. Open up your Design Space software and create your saying or you can use my Red, White, & BBQ design found HERE. Cut your design on regular vinyl or stencil vinyl; I used a color that I had a lot of, since I do not have stencil vinyl on hand. Weed the letters from the vinyl, leaving the stencil. (I guess this is called reverse weeding?) Place the stencil on the center of your placemat. I just eyeballed it, but you can measure if you want it perfectly centered. 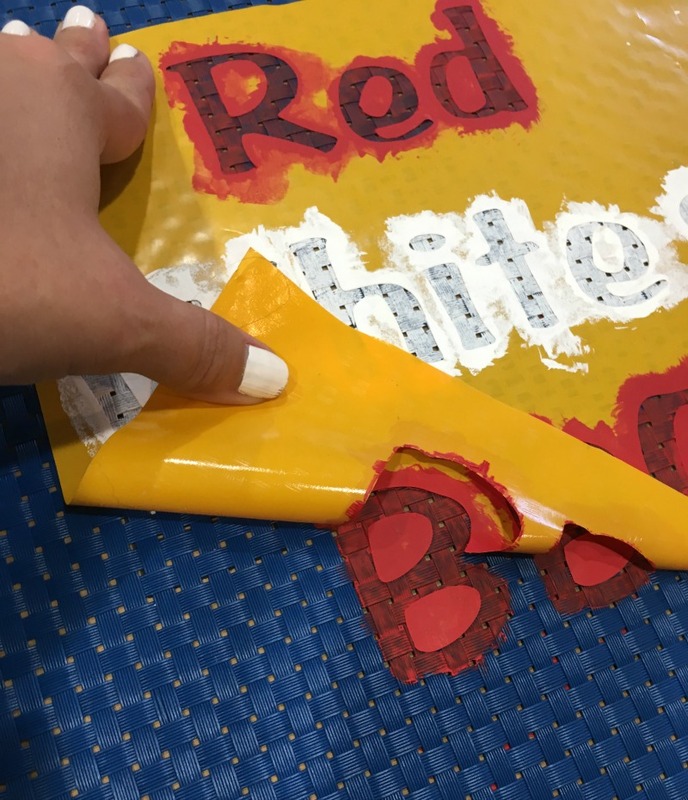 Take a small paintbrush and paint inside the stencil taking care not to apply too much paint, so it does not seep under the stencil. 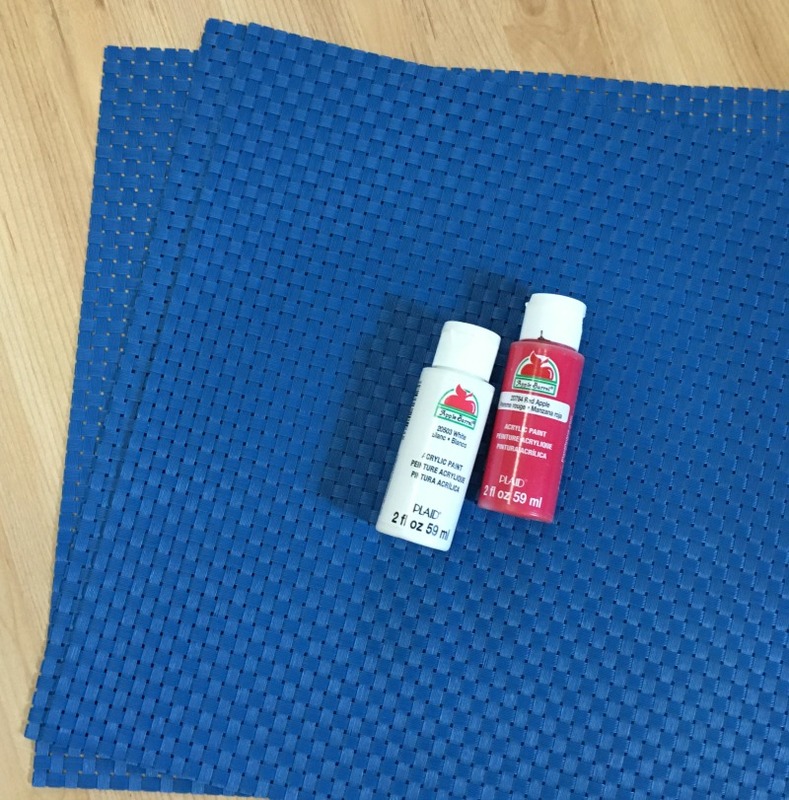 Let the paint dry, then carefully remove the stencil and use it on the next placemat. 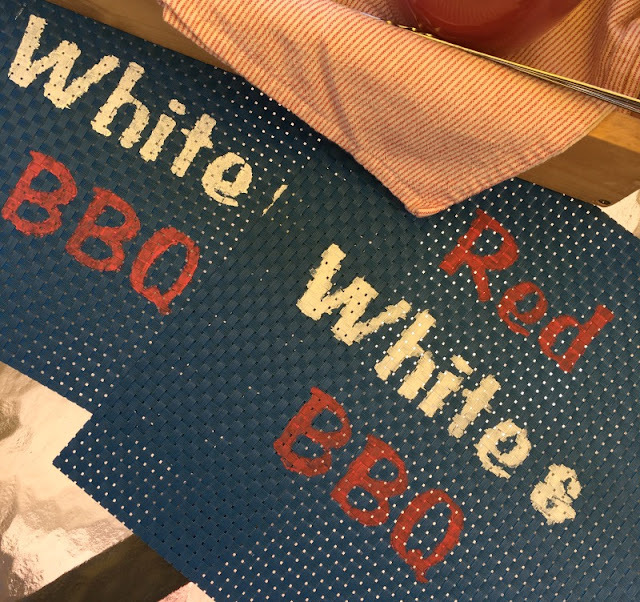 Once the paint is dry, remove the stencil and you have a set of patriotic placemats that will add flair to your BBQ. 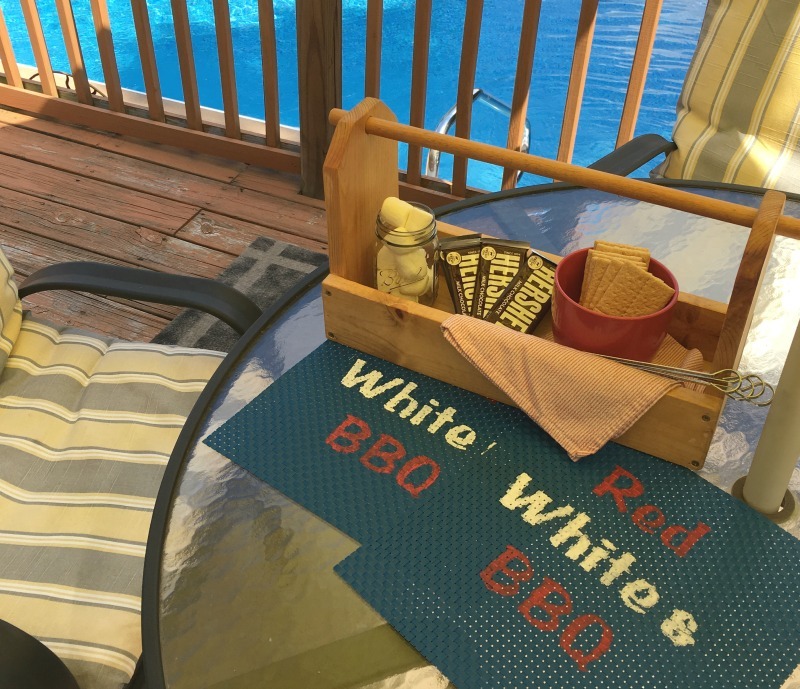 What a cute idea for these placemats. They are perfect for a picnic! Thank you! I was not sure if the paint would work well, but they turned out pretty good! You come up with so many creative ideas, I would have never thought of this! It'd be nice to make a bunch for a party. 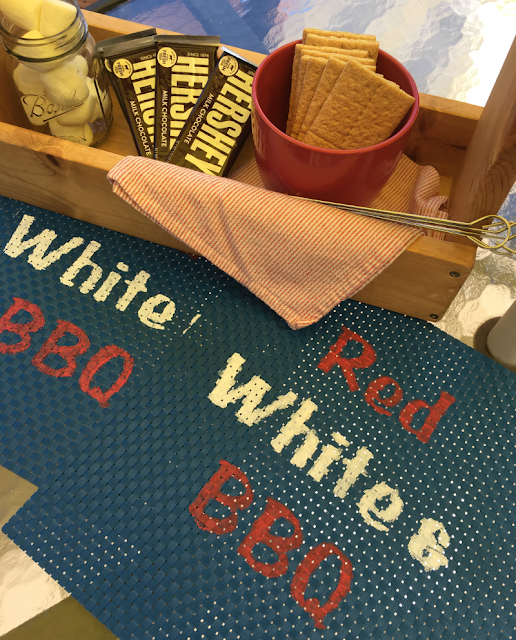 I love the Red, White and BBQ phrase!